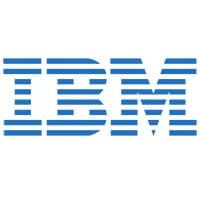 IBM has signed two agreements with Skolkovo Foundation, a non-profit organisation founded by the Russian government in 2010, designed to lead to the development of a range of innovative technology solutions. As part of the first agreement, IBM will establish a Science and Technology Center within the Skolkovo Innovation Center, to be built in Moscow. The new facility is expected to employ up to 170 technical staff by the end of 2012. Under the terms of the second agreement, IBM will license to the Skolkovo Foundation know-how related to intellectual property management, including methods to help identify and evaluate technologies of high potential commercial value. The new IBM Science and Technology Center will have three main areas of focus: modelling solutions for the oil and gas industry; the use of business analytics technologies to improve road safety and mobile payment solutions. The mobile payments work will focus on NFC and, the two organisations say, “is aimed at the creation of security-rich and customizable mobile payment transactions for use across a number of industries including telco, retail and banking.